Hello! Michelle Lupton here today, with the new challenge for the month of October. This month, our theme is “Geometric”, and we are playing with our Hero Arts stamps, dies, inks, stencils, embossing powders, you name it! For my card today, I wanted to use the theme “geometric” in a way that is not necessarily obvious. Whenever I make geometric cards, I tend to make masculine cards, but this card is definitely feminine. 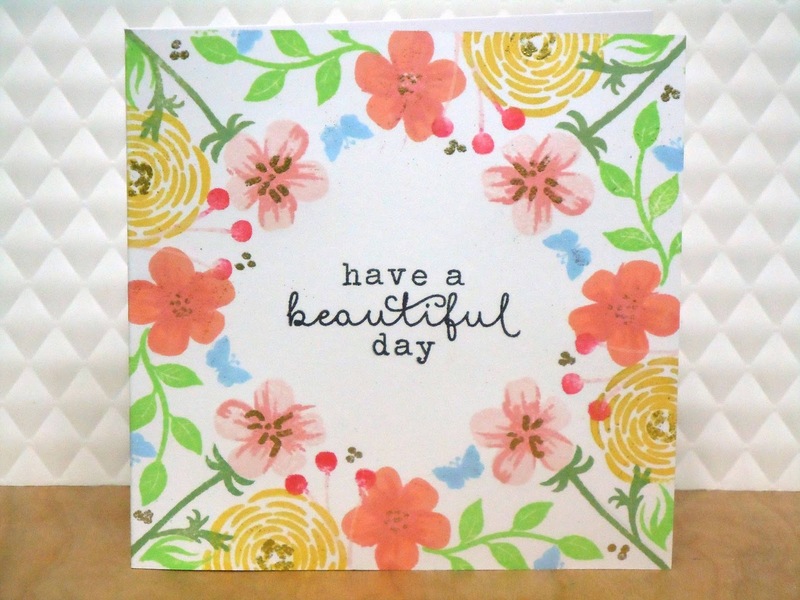 I started with a square card, and drew in a diagonal cross with a pencil – this was to provide a guide so that all of my stamping would line up in a geometric fashion. I could have used my MISTI to do this, but I decided to go old school and stamped everything by hand with just my pencil lines to line me up. 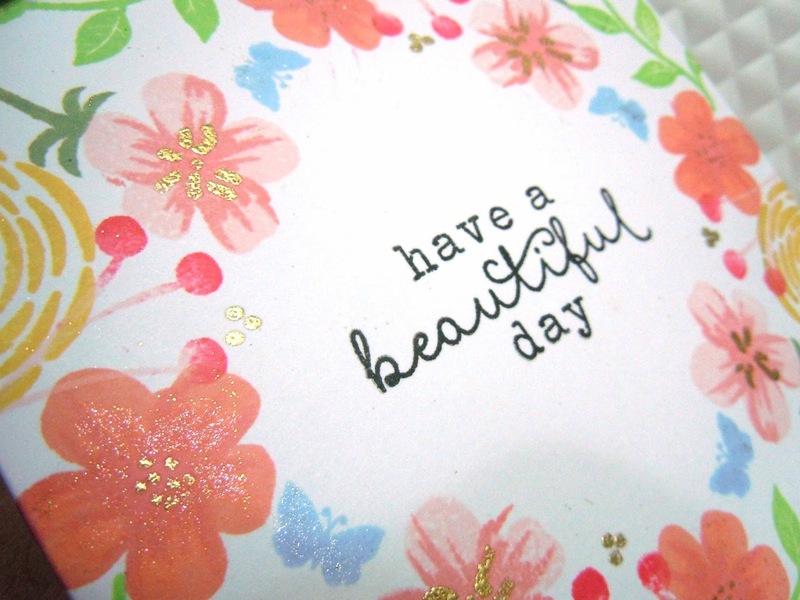 After I’d done all the stamping, I added some detail to the centres of the flowers with my Versamarker (basically a felt tip marker with Versamark ink in it) and added some gold embossing powder. I then added some shimmer with my Wink of Stella clear glitter pen. There’s a prize to be won, for one lucky participant in our Geometric challenge! The Color Layering Grateful Leaves stamp set. Yay! Be sure to enter the challenge via the linky tool below. You have until 5pm October 29th to enter. wonderful interpretation of geometric, Michelle – love the colors – a very pretty card! Awesome card and love the flowers. I would never thought geometric but it works. Awesome. Can we have to entries in the same challenge and will that be counted in the 5 participations ….? please clarify in case i have already participated 5 time can i not participate ever again?? A little confused ! !…have been wanting to participate for a long time but am afraid i will exhaust all my chances and if i make something really novel will not be able to share …..
Hello, Seemaa! You can enter each challenge up to 5 times. Did this close a day early? It says you have until October 29 at 5 but it says closed today 10/28. Hi, Karen, my apologies, the linky did close a day earlier than written. If you have a card to share, please put your link in a comment and it will be eligible for this month's prize. It is Friday, October 28th and the linky is closed. I finished my card and cannot get it on, even though post says it closes on the 29th at 5 PM. Help please. Hi, Lynda, my apologies, the linky did close a day earlier than written. If you have a card to share, please put your link in a comment and it will be eligible for this month's prize.